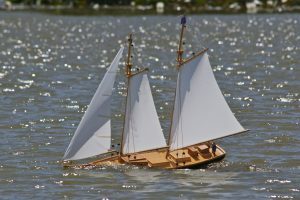 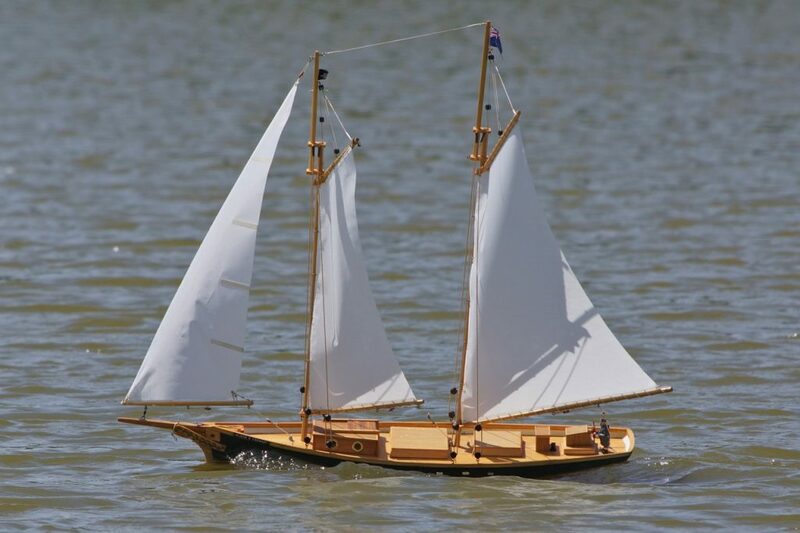 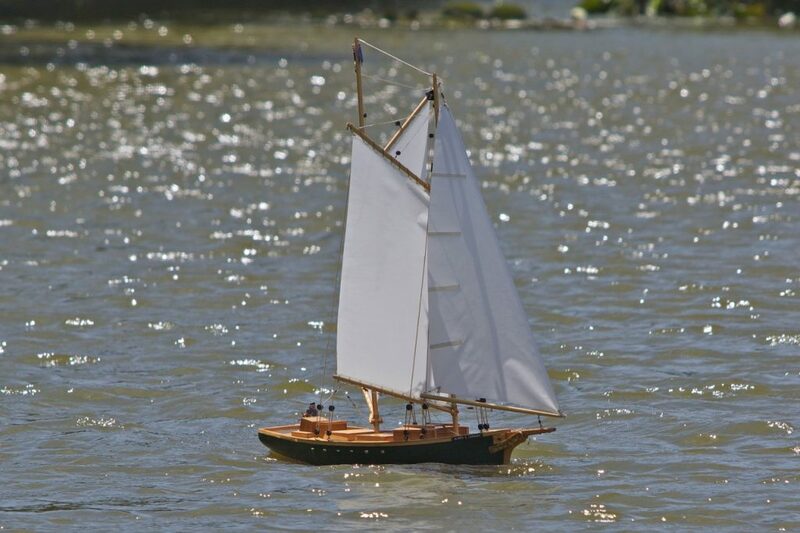 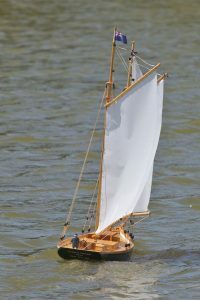 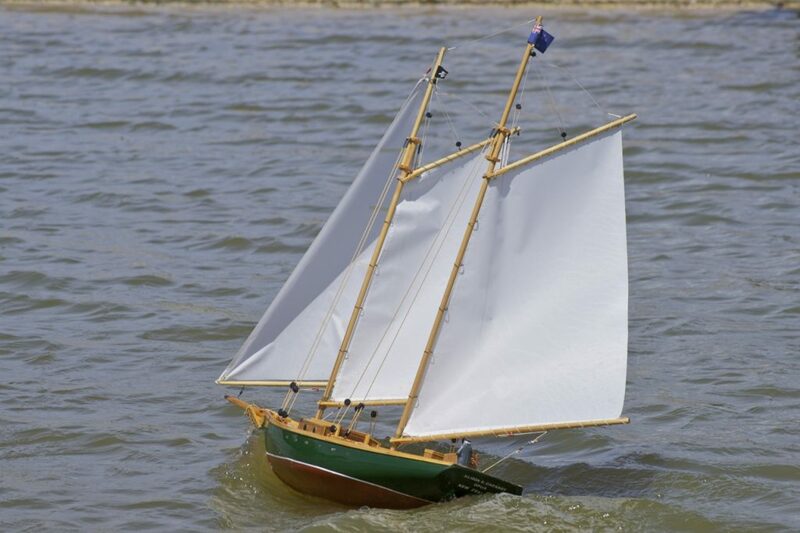 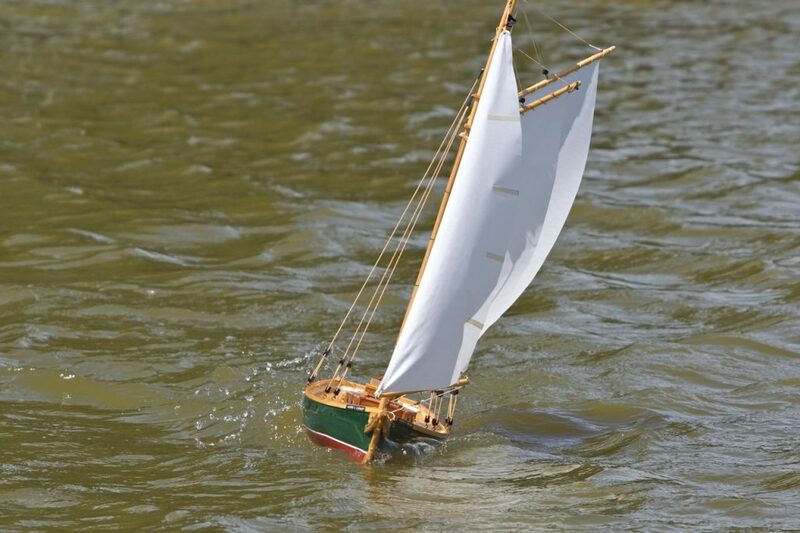 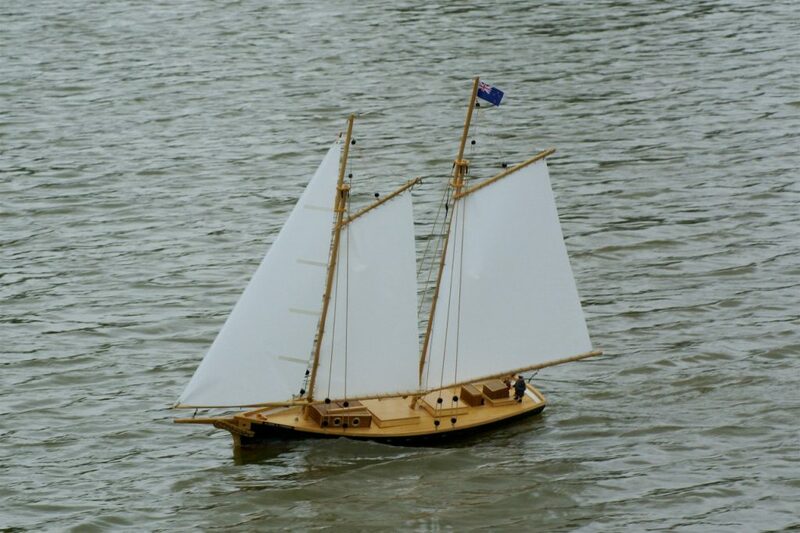 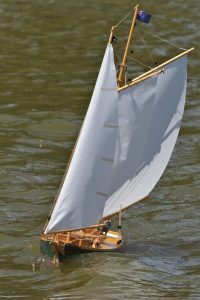 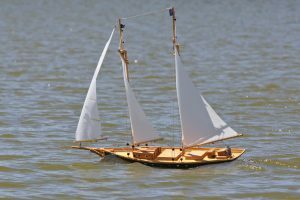 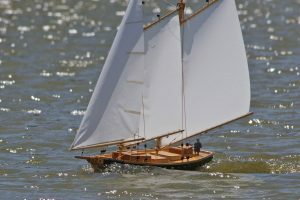 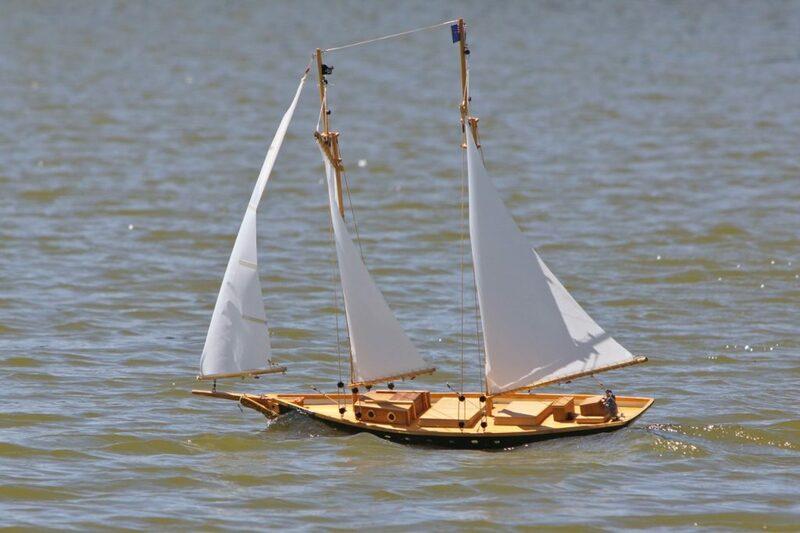 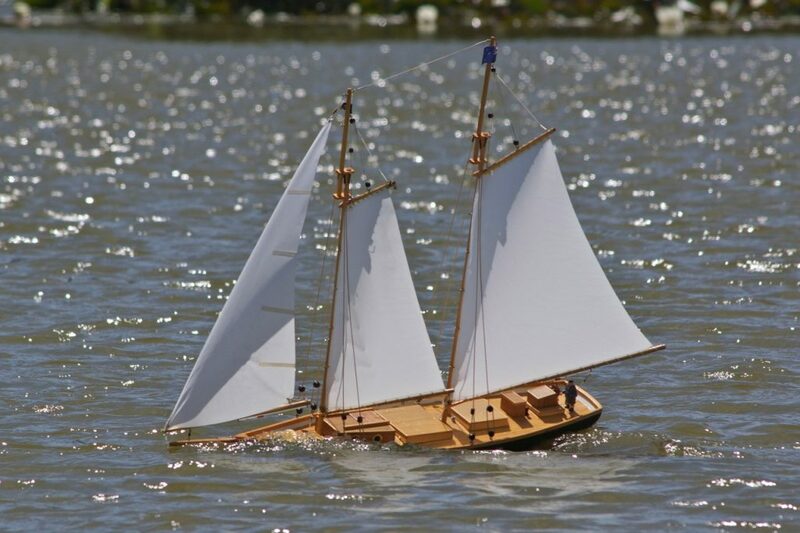 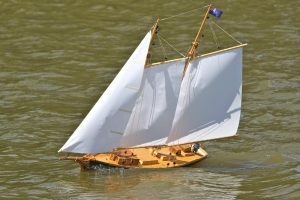 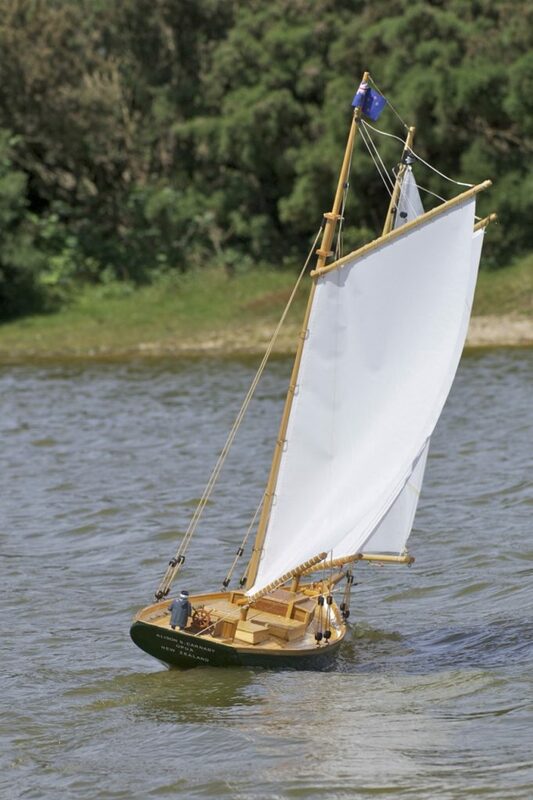 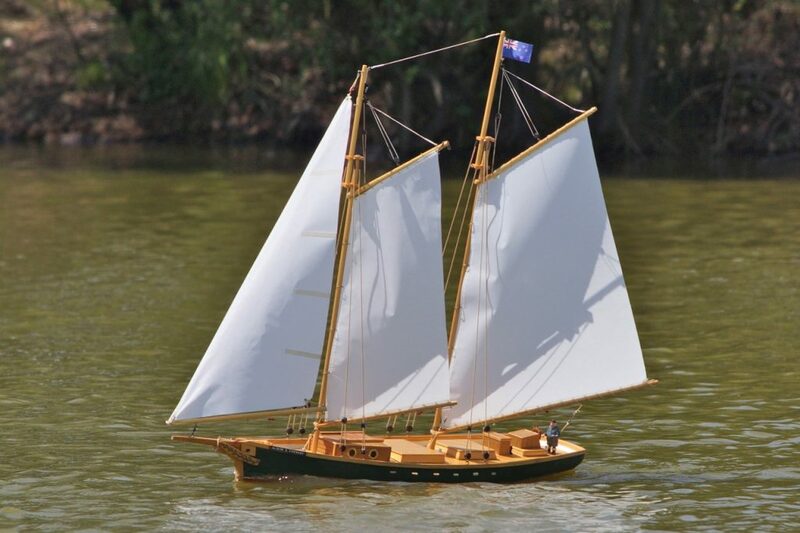 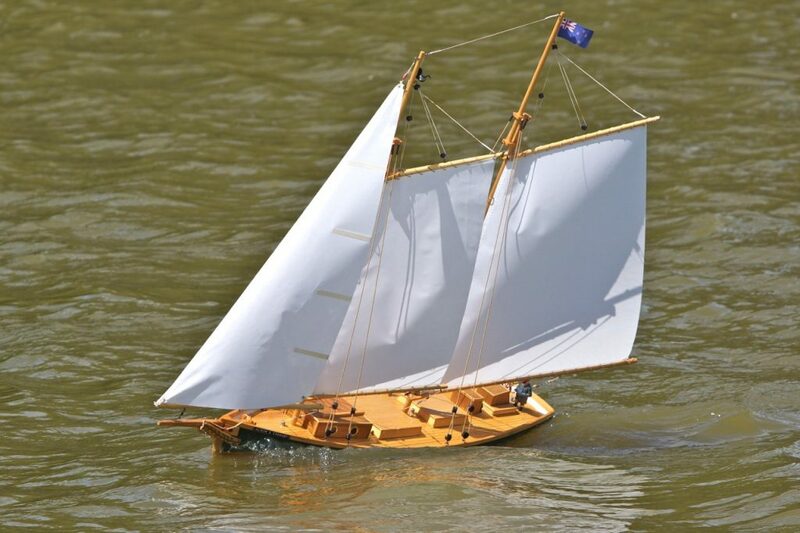 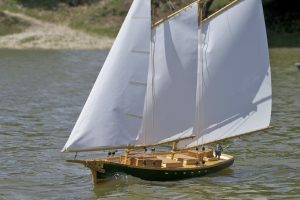 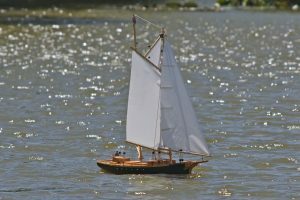 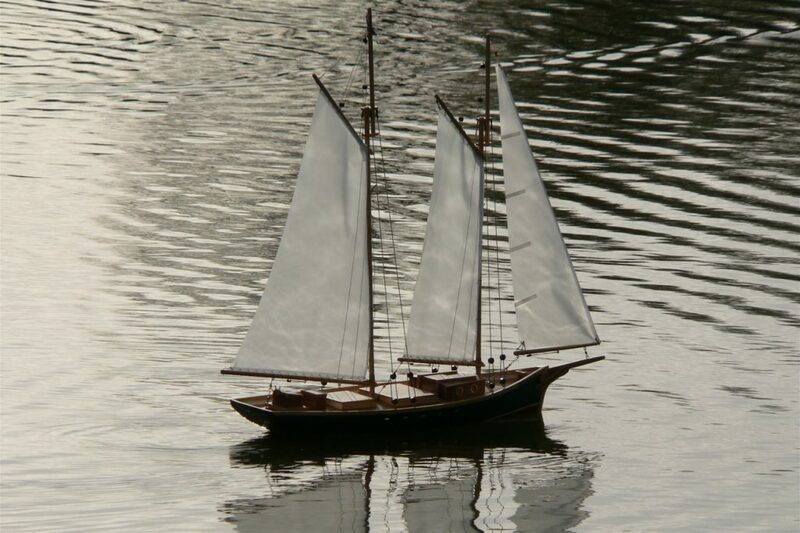 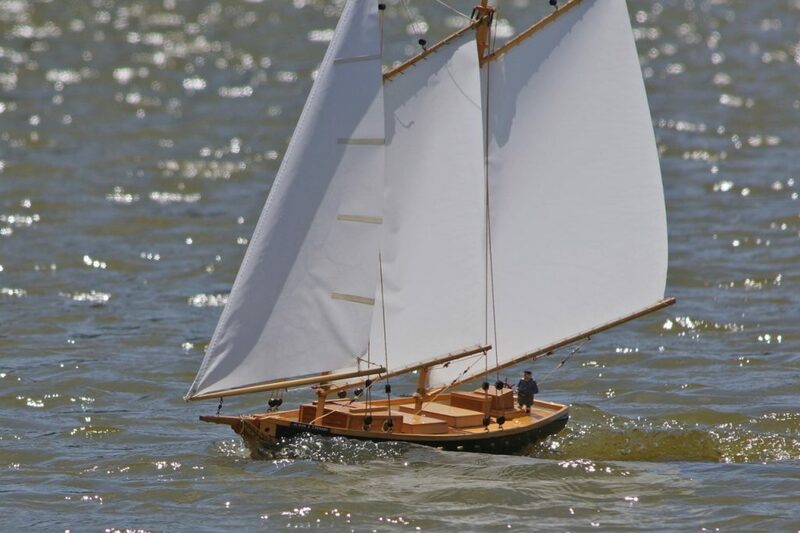 “Inspired by Reg Radley’s schooners, which really do sail in the lightest of airs, I had to build a schooner. 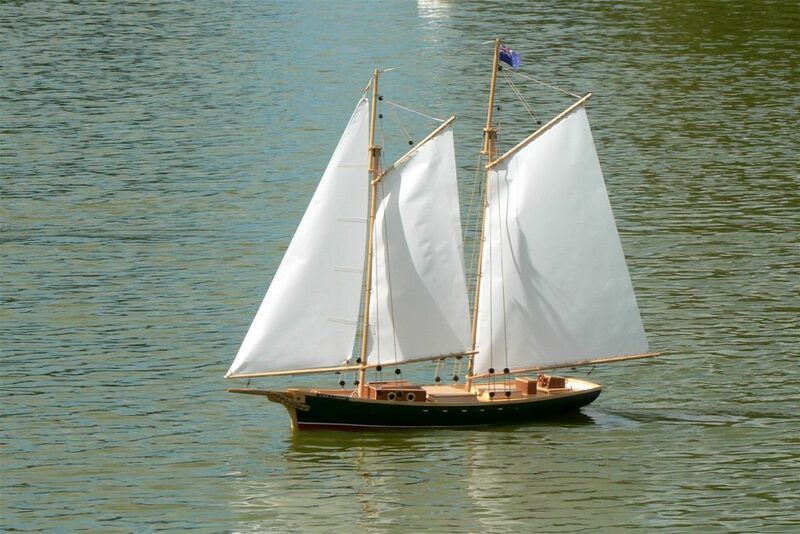 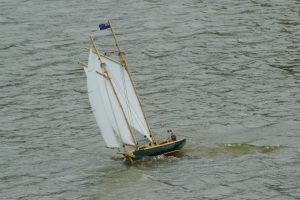 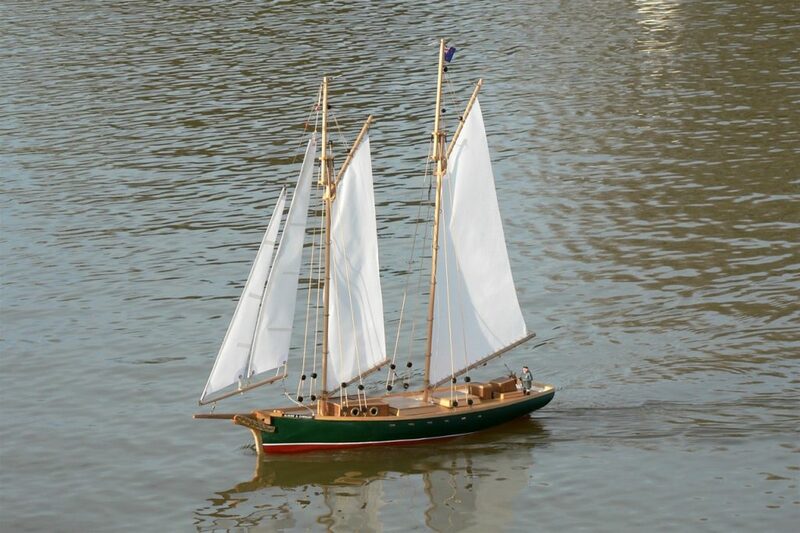 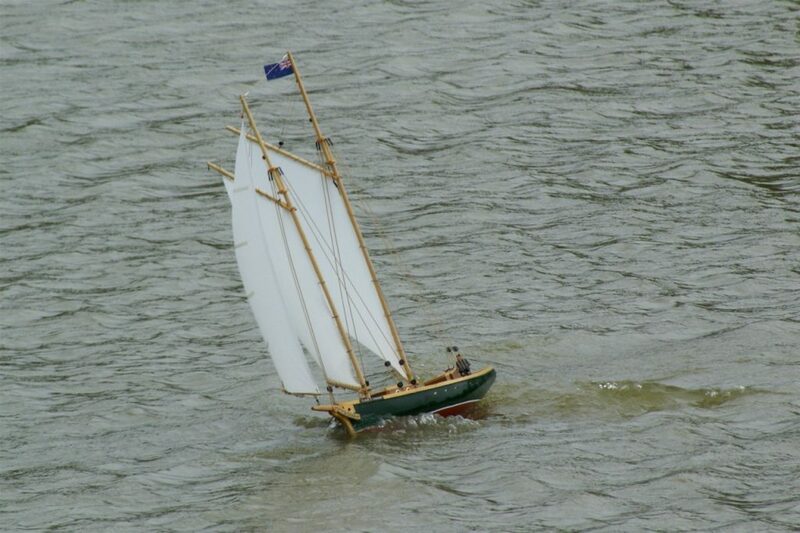 Imagine my surprise when in New Zealand the R Tucker-Thompson sailed into the port of Russell as it was identical to this 1880 model of a American west coast trader. 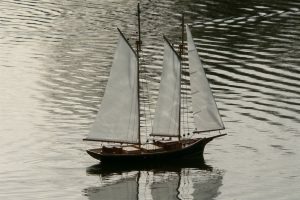 Subsequently I sailed on the full size version and was able to take the helm. A very reliable boat and, with the model carrying the name of my Daughter, allowing me to recall my adventures in the Southern seas. 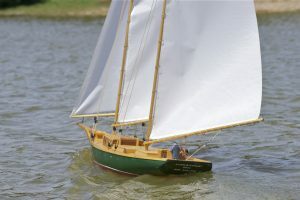 The R Tucker-Thompson operates as a non-profit making sailing trust all year round. 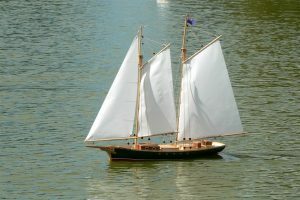 It has docked in Southampton in a regatta some years ago. 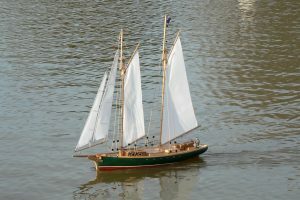 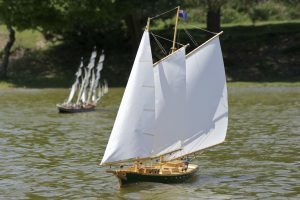 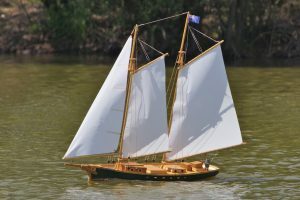 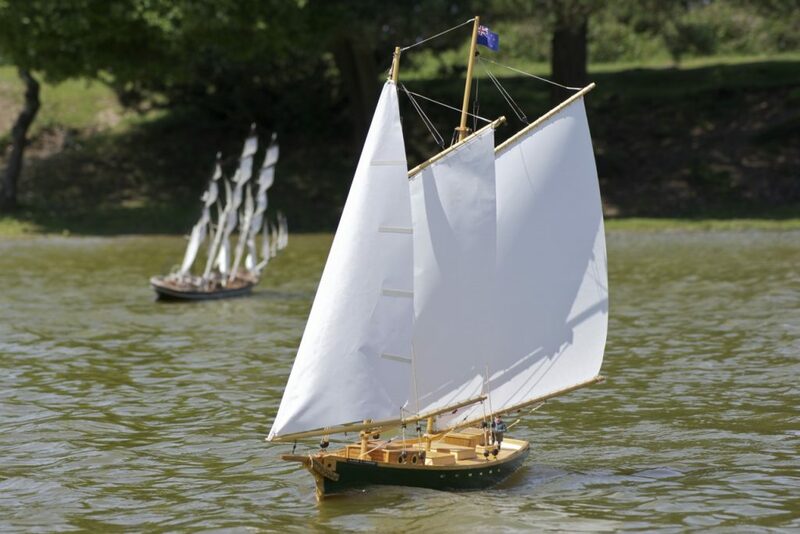 It was built some 20 years ago to recreate the 1880’s American west coast schooners of the day. 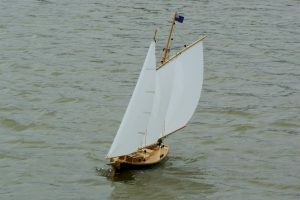 See their website for further information. It sails daily from Russell in the Bay of Islands.